This year Valentine's Day has a whole lot of issues. You probably can't get a babysitter (if you have kids). That's if you can be bothered going out after a day of work! 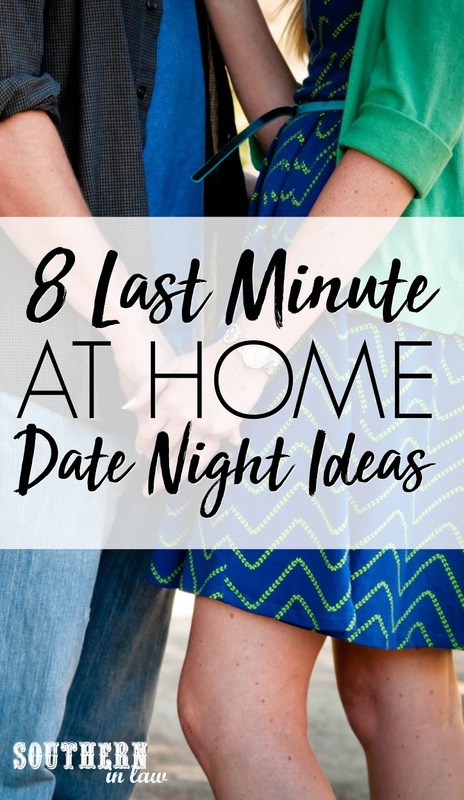 Nevertheless, I've got you covered with 8 super simple last minute at home date night ideas that you can pull together on a whim. These 8 Last Minute Date ideas are perfect year-round - whether you're celebrating something or just want to spend some time with your special someone. They're quick to organise, easy to do and fun too - and you don't even need to leave your house! A movie date doesn't mean you have to go to the cinema. 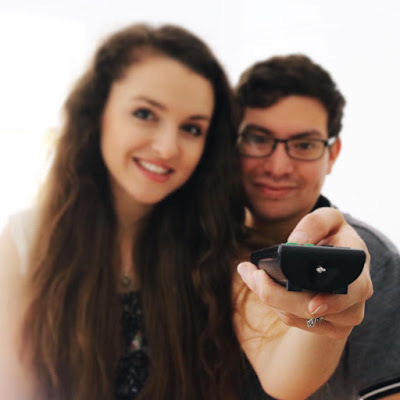 Why not have an at-home movie date? Grab your cosiest blankets, your favourite snacks and your favourite person and settle in for a movie night. We usually pick a theme to make it feel a little bit more special. You might choose an Italian theme with Spaghetti for dinner, gelato for dessert and a movie set in Italy - or you could theme your snacks to your movie - or you could watch a whole movie series back to back. This might not work if it's the middle of winter, but on a lovely summer's evening, there's nothing nicer than enjoying a meal outdoors! We often eat outside when we have people over - but forget about doing it when it's just the two of us. 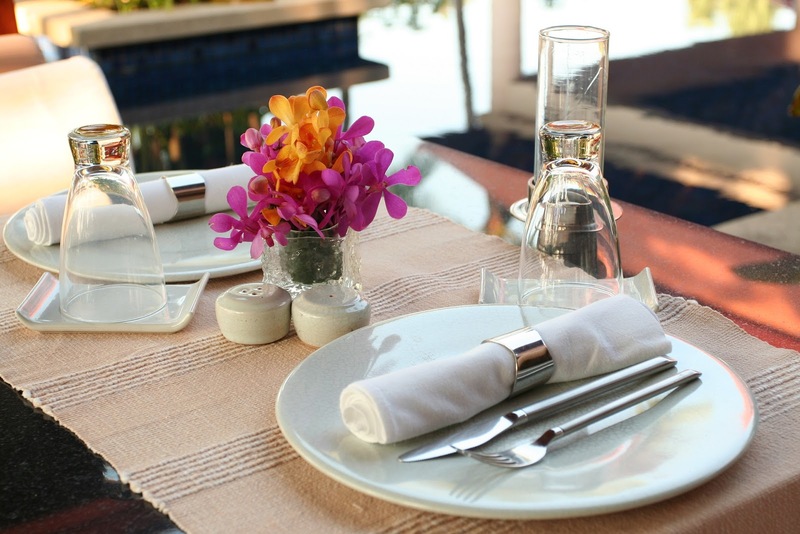 Why not make something extra special for dinner, use your fancy crockery, dress the table and enjoy dinner outdoors with some champagne. 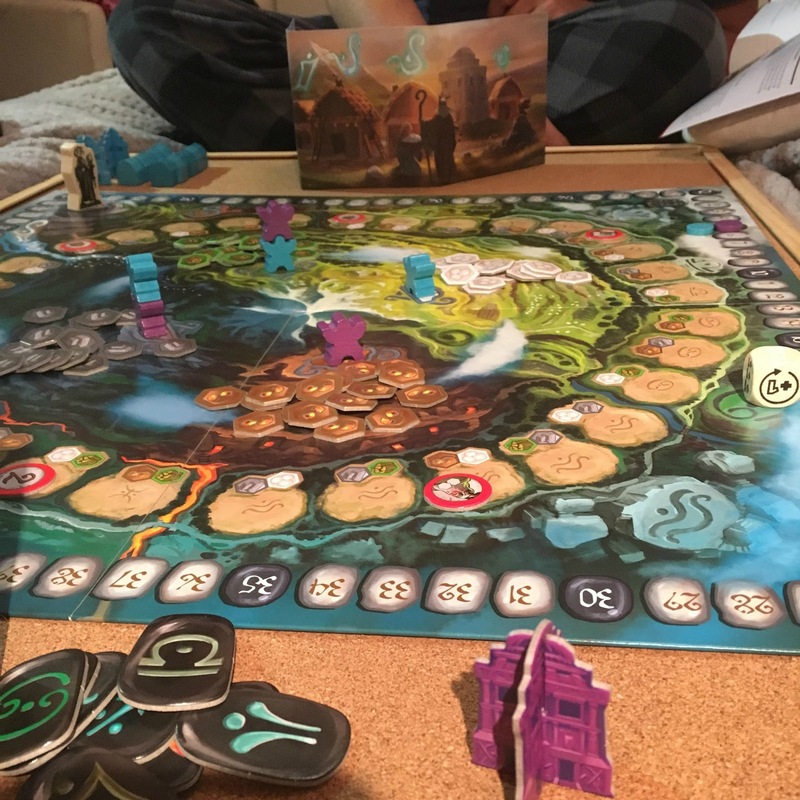 It's no secret that we love board games (have your seen our Ultimate Board Game Guide?) - but you don't need a big group of people to play them. Grab your favourite two player games and make a night of it. If you're competitive, why not keep score or who wins to make it even more fun? Our favourite two-player games? Wazabi, Castle Panic, Exploding Kittens, Boss Monster, Squirrels, Where in the World is Carmen Sandiego? and Poop! top the list! Don't have time to make a fancy cake but still want something special? 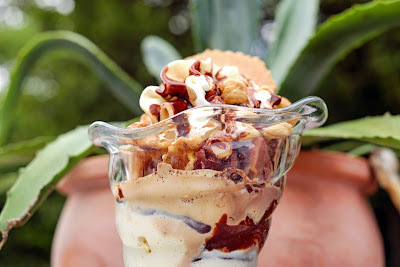 Why not create your own ice cream parlour at home? Grab some ice cream cones (or fancy sundae glasses or ice cream bowls - we have some at home just for this), your favourite ice cream and some delicious toppings and create your own dessert combinations. Take a night off from cooking and bring the restaurant to you! 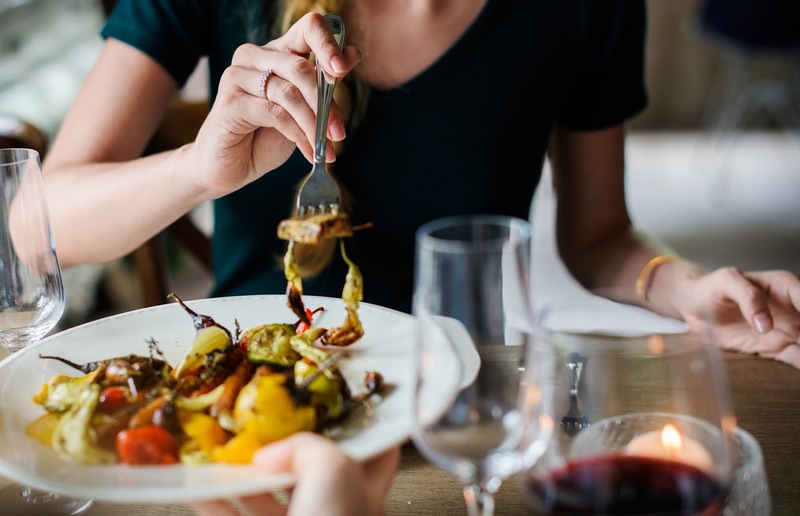 Order in from your favourite restaurant - but make it a little bit fancy by putting out your finest plates, dressing the table - and even dressing up! A little bit of effort goes a long way! Put your culinary skills to the test and create a meal together! Try out a new recipe, experiment with new techniques and have some fun whilst creating a dinner for the two of you. This is when we like to try out a recipe that's a bit of a challenge - or something we'd usually reserve for dinner parties. Have fun with it, indulge and enjoy! This isn't your typical "date" - but it's the perfect way to spend time together and learn something new. We love working on projects together and trying out new hobbies. 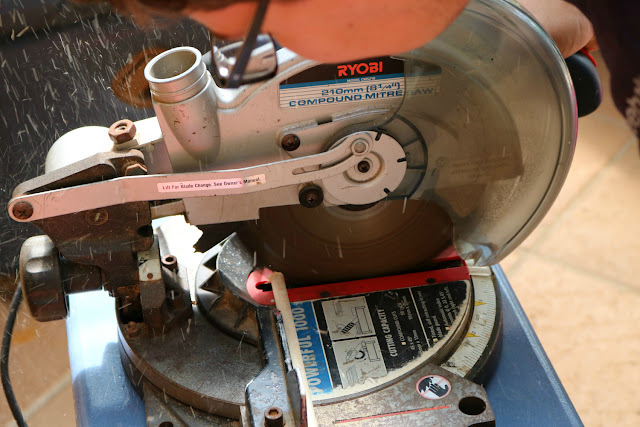 It could be something as simple as a craft project - or a home DIY project. We've done everything from restoring furniture to creating crafts like this DIY String Art or trying out a new hobby like latch hooking (yep, we're totally bringing latch hooking back 😝). 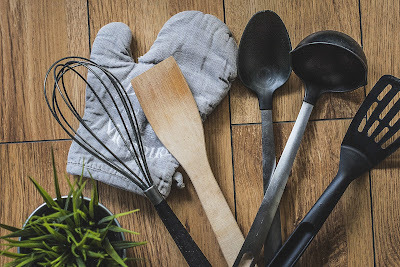 If you think your man isn't into crafty things - why not work on a craft that combines some of the things he likes - with some of the things you like? This DIY String Art Tutorial is the perfect excuse to play with power tools - and you can even get him to cut and drill dowels to make this DIY No Sew Fabric Wall Hanging. Why not take a step back in time and reminisce about the past. Create a menu with some of your favourite food memories (maybe it's a dinner you had on your honeymoon or first date, or a recreation of your wedding cake) and go through old photos together. Chances are, you're probably like us and have HEAPS of photos - but don't often go through them! While you're at it, why not create your own memory photobooks? 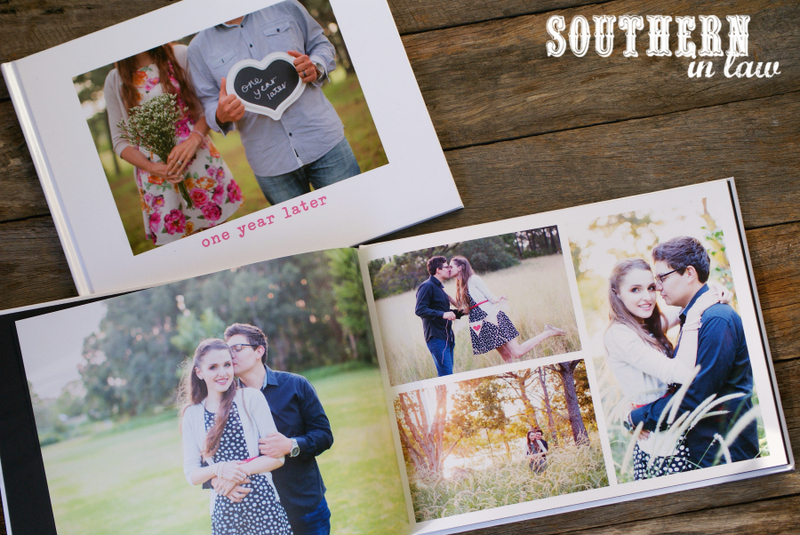 Pictured above are our annual photobooks - which you can see more of here. Inside each book I share pictures from the year, our favourite foods, memories, what movies we saw and tv shows we loved and so much more. What would your ultimate date night at home (or just regular night at home) look like?